I have found a small wasp nest; if I remove it will the queen rebuild it? Jump Menu: I have found a small wasp nest; if I remove it will the queen rebuild it? What does a hornet look like? Wasp stopped building its nest, why? Do wasp traps work? How often do wasps reproduce? If you destroy a small wasp nest (golf ball size) with just the queen present and no worker wasps, if you do not kill the queen, she will typically move to a different location and start a brand new nest. 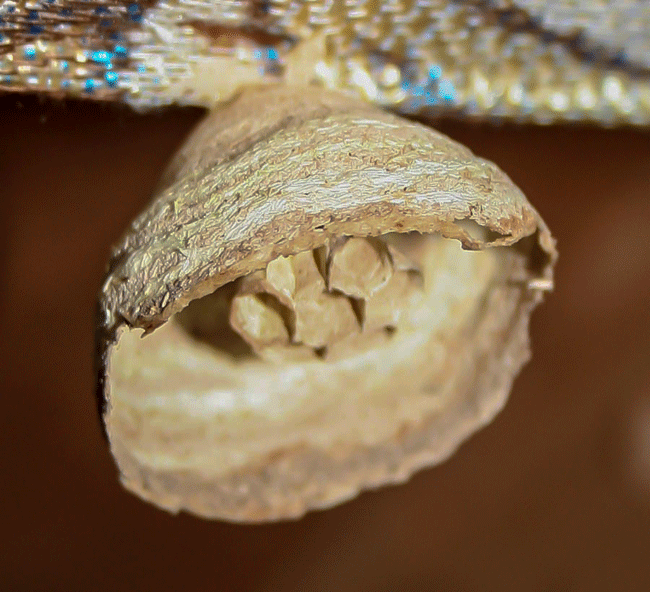 As nests become more established with some worker wasps present, destroying the nest will not work, they simply rebuild in the same position. 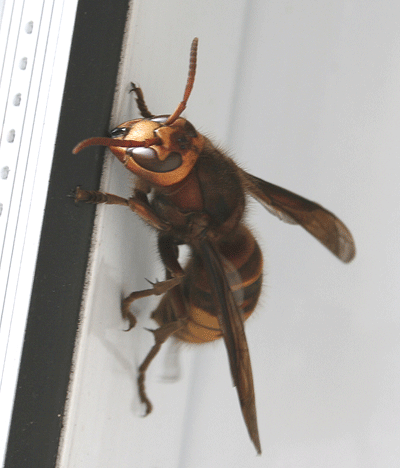 A European hornet looks very similar to a normal wasp, just more significant with a rusty brown sheen. Take a look at some of the pictures we have on our site. Wasp stopped building its nest, why? When queen wasps start building their nests, there are no worker wasps present. The queen has to undertake every daily task including collecting nest building materials, finding food for herself, hunting for food for her young larvae and at this time she is very vulnerable to other predators. Birds often catch and eat queen wasps, other insects also predate on them. If the queen gets killed, her nest is doomed. If a worker wasp gets killed, it is insignificant to the survival of the nest. Wasp traps are not an alternative to having a nest treated. If you have a wasp nest and you want it gone, you will need to have the nest killed. Wasp traps have some degree of success where wasps are a problem in gardens. If a nest is close enough, but not on your property and they are bothering you in the garden (at barbeques and other outdoor activities), then a well-placed trap can reduce numbers. The dome type traps which you can buy for a few pounds are not the answer; in fact, these type of traps make the problem worse. It would be best if you had a trap which will catch every wasp that enters it. The queen wasp is the only wasp in the nest which lays eggs. The queen produces all of the worker wasps, and they are all sterile females. So, in essence, the queen wasp is reproducing throughout the summer, laying new eggs each day. In the autumn, the queen lays a batch of special eggs; these are the last eggs which she will produce. These special eggs are destined to become new queens and male (drone) wasps. These new queens and males leave the nest to mate. Once mated the males then die, and the new queens find somewhere to hibernate over winter ready for the next year. The original queen along with all of the worker wasps gradually die off as the food supply runs out in winter.